The exhibition is in honor of the tenth anniversary of the destruction of the WTC on September 11th 2001, and will display views of the WTC from both inside and out using medium-format photos taken during the mid-‘70s through the ‘80s. The photos follow the development of the towers from when they were first being built, including rare shots of their interiors while they were still under construction. Massie’s goal was to see and show the beauty of the towers at a time when not everyone viewed them with the same artistic eye. Also included in the exhibition will be a “works-on-paper” montage which members of BWAC created to be installed in a ceremony in exactly one week, on Sunday, September 11. 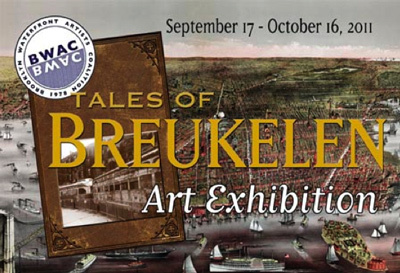 You can come visit the exhibition at the BWAC gallery located in Red Hook at 499 Van Brunt Street, Brooklyn.